Amelia Wade from the NZ Herald filed a report about a Police impounded car that was sprung by a GPS tracking unit being driven around the streets in the early hours of the morning. This incident in which a Nissan Silvia had been impounded by the Police allegedly under the 'Boy Racer' laws had a GPS tracker fitted to it which was unbeknown to the Police and the towing company. Understandably, the owner of that vehicle was somewhat annoyed when she checked her vehicle tracking reports the following morning and discovered that it had been taken out of the impound yard on it's first night for a joyride. Even more annoying for the astonished owner was that it was taken out twice on the same night which she says was clearly by a second person 'having a turn'. And this was at 2am in the morning! She immediately filed a complaint with the Police who advised they had never had a problem like this previously with this yard. The owner told the NZ Herald that she doubts that very much as this may be the first instance in which a alleged boy racer vehicle had been fitted with a professionally monitored GPS tracking unit. At the time of lodging her complaint, the owner also requested that as the yard cannot be trusted to keep her Nissan safe, the vehicle be returned to her immediately rather than leave it with them for another 28 days. The Police agreed to investigate it. A spokeswoman for the yard advised that the vehicle had not been taken out for a joyride. There is substantial proof that this vehicle was monitored by tracking software capable of giving detailed and precise reports which quite clearly showed the exact route the joy riders took on both instances together with the recording the excessive speeds it travelled in a residential zone (up to 120kph). These were provided to the Police and it is amazing that the yard can claim the vehicle was not taken out .... Unfortunately there were no further reports on this matter as to the results of the Police investigation and/or the subsequent outcome. We are also aware of another NZ Herald reporter Elizabeth Binning filing a great story showing how a GPS tracking device stopped a car thief before he could go out on his law breaking spree. This guy had his entire 'day of crime' plans bought to a screaming halt by the Police when a GPS tracking system that was installed in the van he'd stolen did it's job and once the owner contacted the Police, they were led straight to him. Senior Sergeant Jenny Richardson from the North Shore Police received a frantic telephone call from the vans owner sometime around 11am advising that their vehicle had just been stolen and they were currently tracking it on the GPS tracking system they had previously installed in the van. They remained on the line to the Police updating them of it's movements and letting them know which direction it was heading all of which directed the Police straight to it's location. A very surprised car thief hopped out of the van confused as to how he was caught so quickly but understood when he was told of the GPS tracking unit. * A 22 year old man was due to appear in the North Shore District Court the following day onj charges of unlawfully taking a motor vehicle, as well as possession of instruments for conversion. He was also due to face charges of failing to appear in court on a number of other unrelated matters. Aside from the obvious business advantages of installing GPS trackers, these are two prime examples on how diverse the benefits of a professional GPS tracking device installed into your vehicle are. Protecting it against theft and unlawful use can save many hours of grief and in some instances, many thousands of dollars. 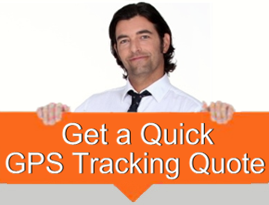 However, a GPS vehicle tracking unit is nothing unless it is monitored by professional tracking software. It is the primary crucial element and this is supported by the successful outcome of this particular incident. These two instances show that by having a GPS tracking system installed in your vehicle(s), whether for business or personal, it can greatly assist the welfare of your business and vehicle in a number of ways.